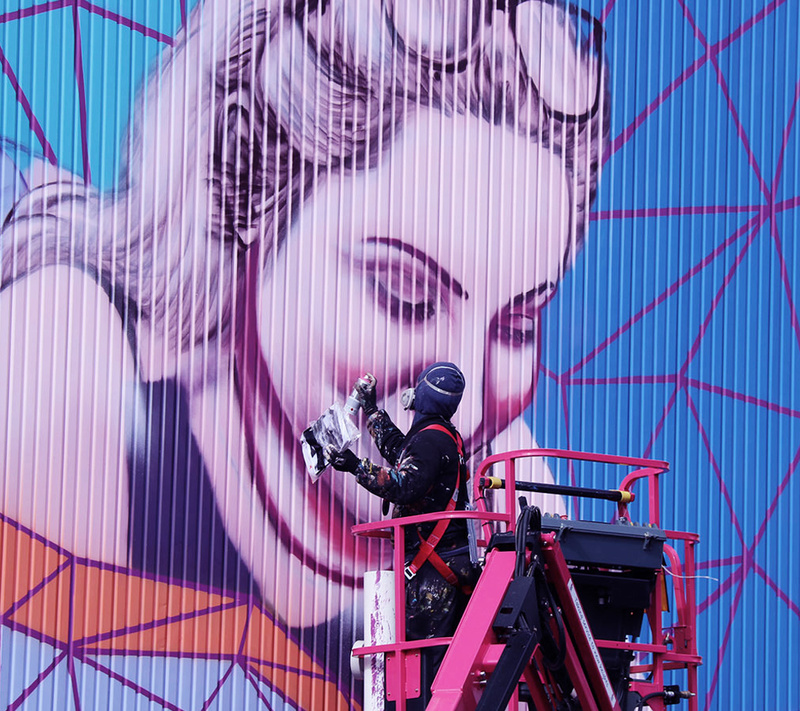 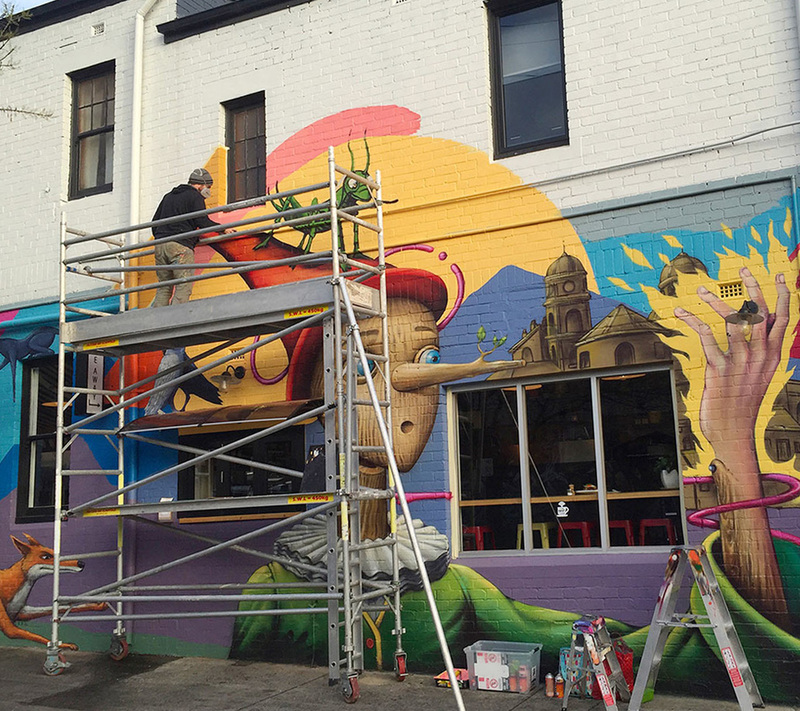 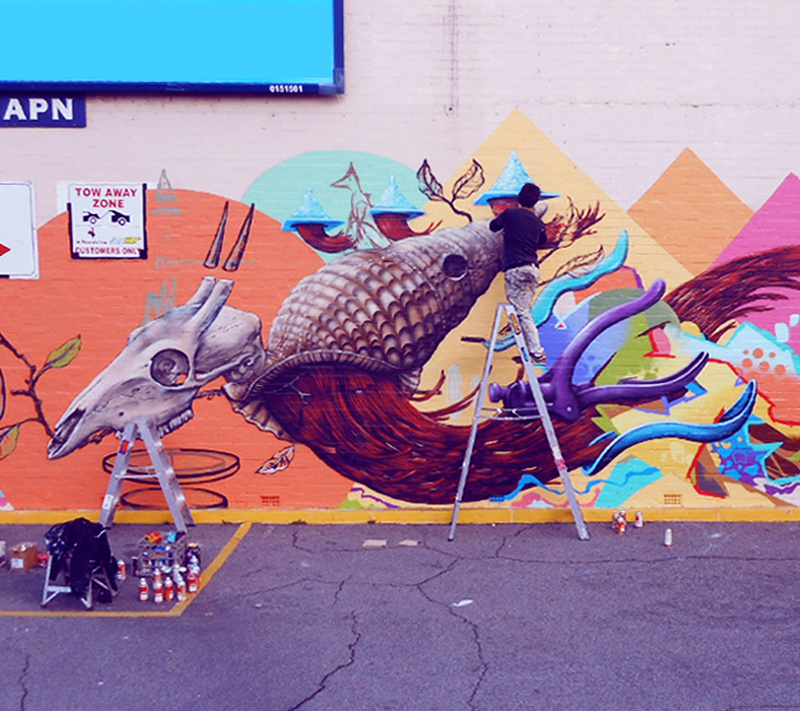 Based in Melbourne Australia, Hayden works as a muralist, illustrator and visual artist. 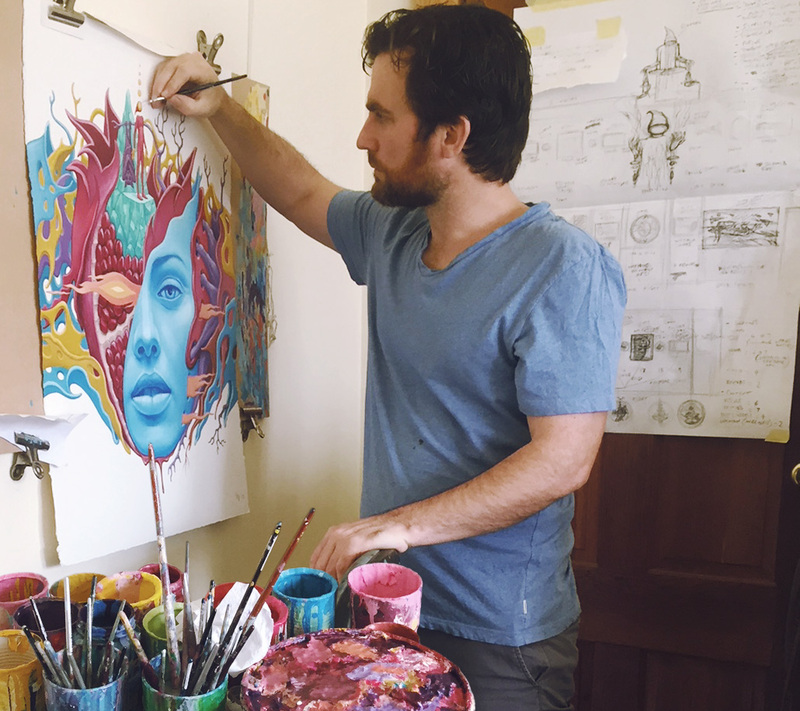 Working in a contemporary surrealist style for commercial and personal art projects, Hayden is equally comfortable working to a brief or having the creative freedom to generate his own concepts. 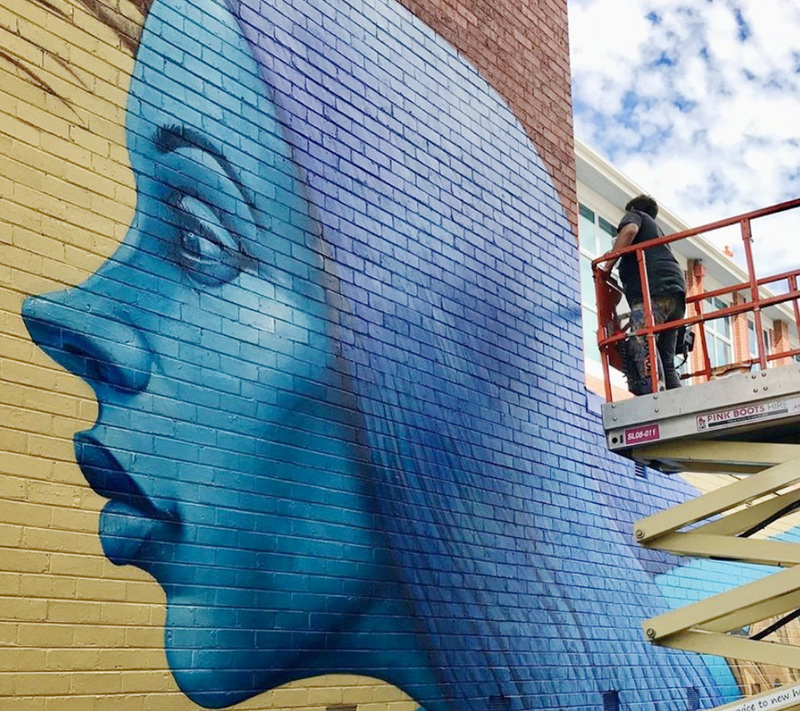 Projects include council and privately commissioned murals freelance illustration work (ranging from album covers to storyboards and anything in between), and creating paintings for solo & group exhibitions. 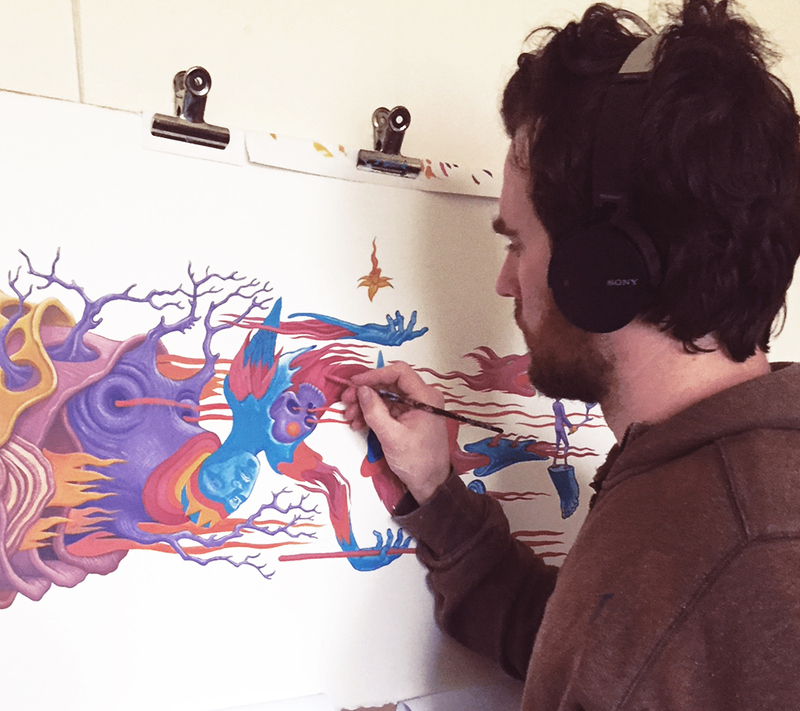 Mediums include painting, drawing, digital illustration & design. 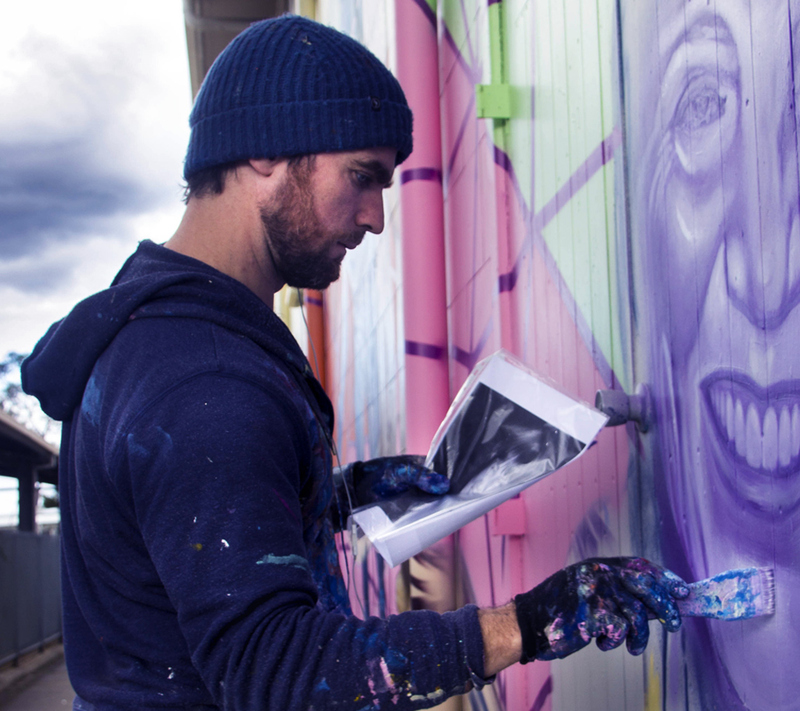 Hayden has also had 3 years experience teaching illustration & design in Tafe and runs mural and art workshops. 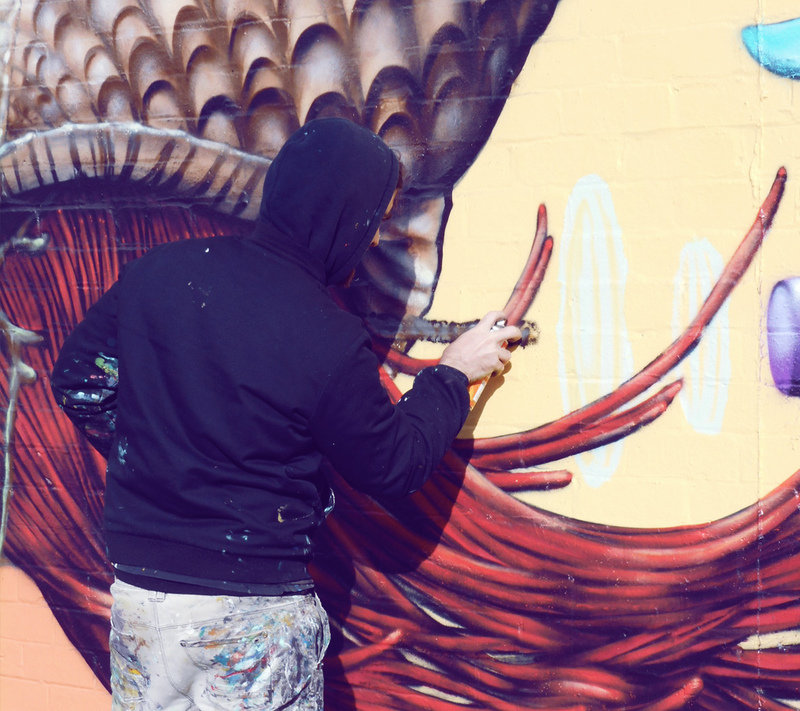 Hayden is currently available as a commission based artist for murals, freelance illustration and private commissions so get in touch for an informative chat and possibly a coffee-fuelled brainstorm about your pending project! 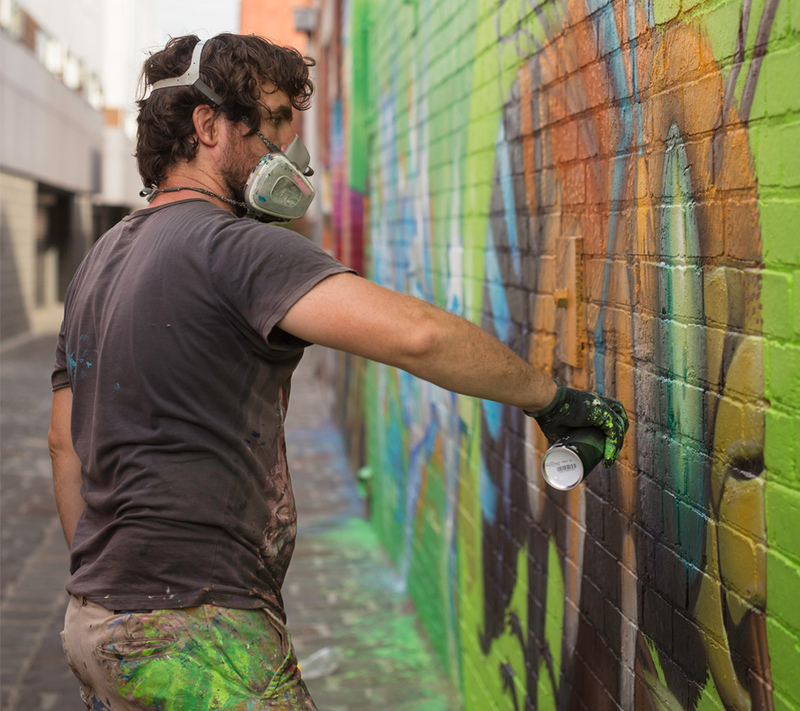 Hayden’s CV is available on request.